Why Improv for Mental Health? 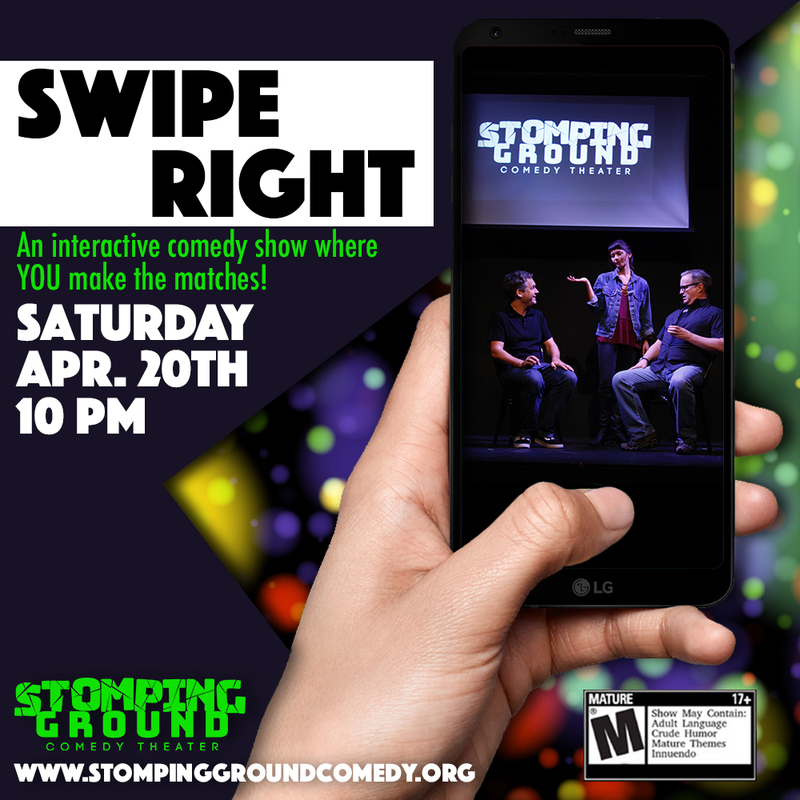 We’re putting YOU in charge of the characters’ love lives at Stomping Ground’s newest improvised comedy show: Swipe Right! From meet cutes to catfishes, baes to bots- who will find true and who will not? You decide who gets friend-zoned, who gets paired up, and who finds everlasting love. This show is rated M for Mature/18+. Stomping Ground is BYOB. Seating begins 15 minutes prior to the start of the show.